للمسافرين الذين يرغبون أن يعيشوا كل ما تقدمه المدينة، Fitzroy Island Resort هو الخيار الأمثل. لا يبعد الفندق كثيراً عن مركز المدينة، فهو يقع على بعد 30. Km منها. في حين يستغرق الطريق منها إلى المطار حوالي 25 دقيقة. يشكل هذا الفندق ملاذاَ مريحاً للاسترخاء ويمنح زواره فرصة للاستجمام والتجدد، وهو يقع على بعد خطوات من المعالم السياحية الكثيرة للمدينة. يعمل Fitzroy Island Resort على ضمان إقامة مريحة لضيوفه من خلال خدماته الممتازة وحسن ضيافته. تتضمن الميزات الرئيسية في هذا الفندق: متجر, خدمة التنظيف يوميًا, خدمة غسيل ذاتية, خدمات بريدية, مستشفى. تتضمن كل غرف النزلاء وسائل الراحة والتسلية المصممة خصيصاً لضمان الراحة القصوى للضيوف. يمكنك طلب اللائحة الكاملة للخدمات في الفندق ومن بينها كنو, تأجير معدات الرياضات المائية, الغوص السطحي, شاطئ خاص, حمام سباحة خارجي. استمتع بخدمات لا يعلى عليها وعنوان ذو اعتبار في Fitzroy Island Resort . خدمة الانتقال بالعبّارات اليومية: المغادرة من صالة ركاب كارينز رييف فلييت الساعة 10:00 AM يوميًا (تسجيل الوصول الساعة 09.30 صباحًا في مكتب صن لوفر كروز)، وتكون رحلات العودة بمغادرة الجزيرة يوميًا الساعة 04:30 PM. تبلغ أسعار العودة لنزلاء المنتجع المسافرين عبر رحلات صن لوفر كروز 65 USD للفرد (30 دولارًا للطفل حتى عمر 14 عامًا). يُرجى ملاحظة أن أسعار الانتقالات تخضع للتغيير دون إشعار مسبق. ينبغي الحجز المسبق لانتقالات العبّارة من وإلى جزيرة فيتزروي. يُرجى الاتصال بالعقار مباشرةً للحصول على مزيدٍ من التفاصيل. clean and tidy facility, the majority of staff are super friendly, we experienced just 2 rude ones which dampened the experience slightly. great place to snorkel, seeing more here than on the outer reef. hire equipment could do with a refresh. . 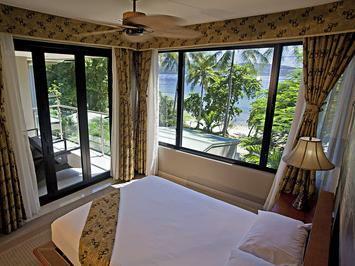 The hotel is the only hotel on Fitzroy island. But our stay was not boring at all. There are lots of activities can do: swimming in pool or sea, diving, cinema, kayak, hiking, beach surfing etc. there is even a wonderful bar & eatery nearby! Highly recommend if you: love Western style food and life style, don’t mind small animals like lizards everywhere, and a little bit room service delay. We recently came back to Cairns after two nights on Fitzroy Island. It is so relaxing and only 45 min from home. 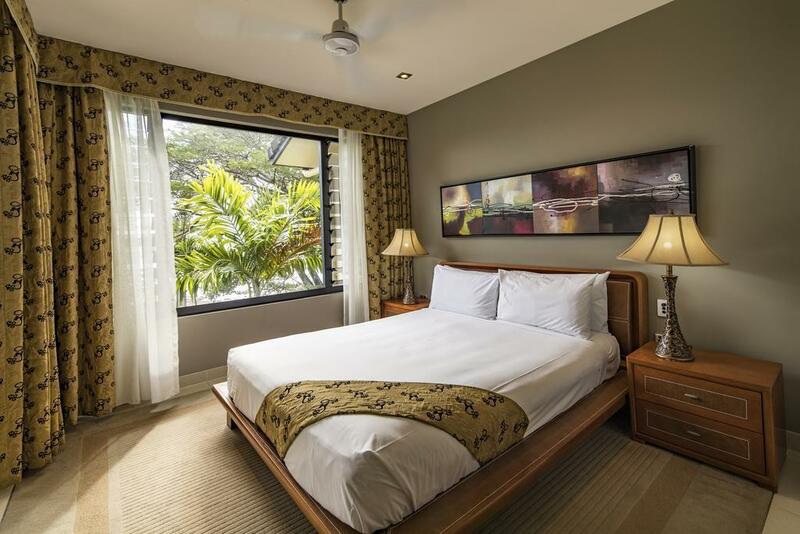 We stayed in the Studio Apartment, even though it was comfortable it does not have any views so next time will book an Island View Suite or the Welcome Bay Suite. Had a beautiful meal in the restaurant both nights, staff were super nice and the food was delicious. Can’t beat the view from Summit Hill which we accessed from behind the resort. A few steps up but you can take your time and you will be rewarded with the view. We came back along the lighthouse road as my knees don’t like coming down steps. Worth an overnight trip, or longer if you have time. We caught the Fitzroy Ferry and they were the happiest crew, they had heaps of knowledge of the island. They loaded our bags on and off the boat. We took a little esky with snacks etc over as the grocery store doesn’t have much. Perfect getaway so close to Cairns, will definitely be back soon. Great Island for a quick escape. Close to cairns Great transfer via ferry Need to highlight the different ferries that are available to take to and from the island. Reception staff could be alot more welcoming. We have been staying at the apartment for 4days 3night with our cousins(6adults, 5babies). Staffs are pretty kind and professional, our feeling was VVIP visitors. 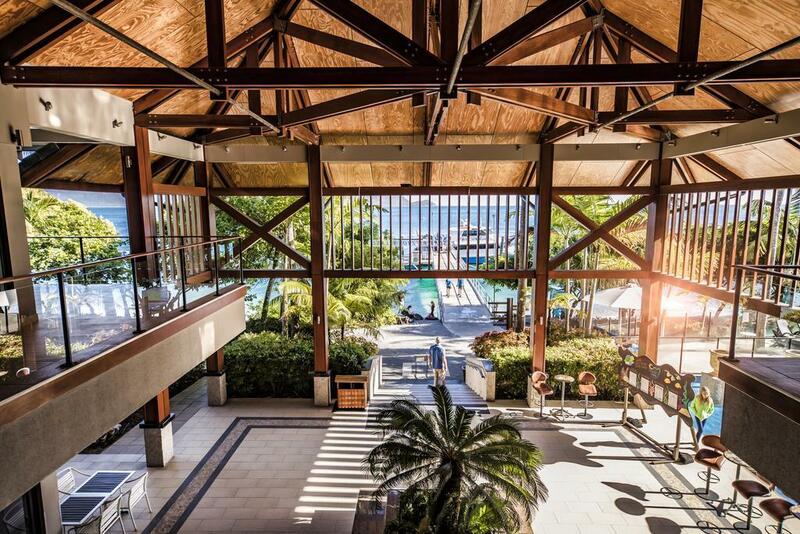 Location is the best place for shopping, going to ship activities, the Lagoon Casino, and so on(a bottle shop is located next to the apartment building; it’s so useful). 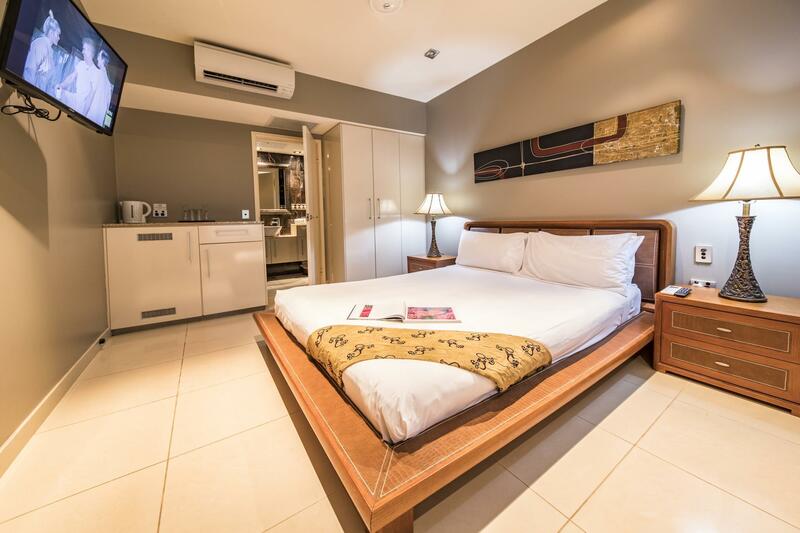 The apartment’s facilities are to use comfortable; Pool and BBQ are same place), we used 3bed room and 2bed room, each room is wide and clean. Also view is beautiful, we could see ocean with mountain; Peaceful and beautiful. The apartment made time flies. 4days 3night....it was very short. Can not forget memories. Appreciates for staffs and beautiful sceneries. This resort was amazing the reception staff so helpful and friendly .. The buffet breakfast was great also .. Definitely be coming back and staying again .. The rooms had everything we needed we stayed in studio and that was fine beds comfy with great pressure shower. Great location. Pricing for drinks and food I thought were reasonable. We booked ocean room but when we arrived we got the keys to Ocean room but on the ground floor and there was a building in front of it so I went back to reception because I especially wanted ocean view rooms. He checked and seen that I booked it in February when the word was ocean view rooms and now they change all the wording because they realise a lot of people getting upset because they booked a ocean view rooms. They were great and they changed our room to second floor with ocean views. Beautiful apartment with balcony. We got to the island at 12:45 on a Sunday for three nights and left Wednesday morning. Which was enough time for us to do the walks, snorkeling, eat, drink, swim and relax. We loved our stay here. The room was clean and I love how the designed it to enhance the view. They had a dishwasher in the kitchen which is a plus for me. My only concern are that the shower floods a bit and we could hear the heavy footsteps of the occupants right above us (no other sounds heard, thank heavens!). Also, when it rained, we saw 3 cockroaches scurrying in the unit (the pest inspector did their rounds the day before I think). This freaked me out a bit. lol.. Overall, I'd still come back. My Teenagers absolutely loved Fitzroy Island. We were able to see so many amazing sea creatures just snorkeling off the beach. Nudy Beach was amazing and the Turtle Rehab was a must see. Only thing I would suggest is to take snacks. The main meals were well provided for but the general store was not very well stocked so there wasn't much to buy for snacks. 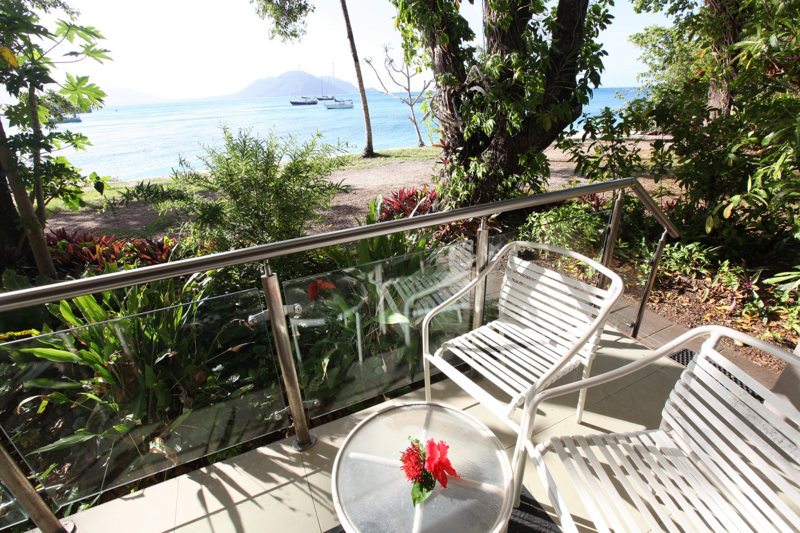 We stayed one night at fitzroy island resort in a studio room in October 17. 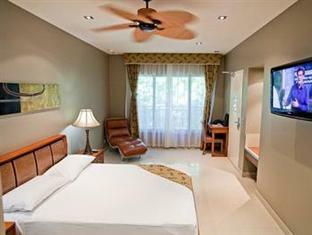 I found the room to be clean and modern with coffee/tea facilities and a fridge. Cheapest room so no view but was ok because we didnt spend any time in there except to sleep. We took our own breakfast and lunch with us but didnt really need to as the food at Roxys is a reasonable price and nice quality. Next time I wont bother unless you have a large family! Take reef shoes and lots of sunblock. What a great stay at Fitzroy island! The resort is great, with a nice pool and snorkeling/kayak/sup rental possibilities. This is really a place to enjoy your holidays. I wish we could go back immediately! We were very pleasantly surprised by this resort hotel. Reviews had suggested a holiday camp atmosphere, but instead we found ourselves in a stylish tropical paradise resort. Our room was spacious and very comfortable, and we enjoyed a sunset walk to one of the secluded beaches followed by a glass of wine and a delicious meal at Foxy’s Bar. Highly recommended in combination with one of the many snorkeling trips on offer. amazing location but the studio rooms stunk of mould. The outdoor area leading to your room smelt like sewerage. the studio rooms felt like a dungeon. the resort catered to very old people, had to endure listening to Kenny Rogers while eating dinner. highly recommended for the 60 plus age group. I stayed on the island for 3 nights. If you want to visit Fitzroy island, stay in Cairns and catch one of the daily ferries. The location is beautiful and the nature to be explored is really worth it. But what is not worth it is this hotel. The construction quality of the rooms is terrible. It feels like being inside of a tent. There seems to be no sound proofing what so ever, so any movements whether above or outside are easily heard and interrupt sleep. The mattresses were very poor quality and uncomfortable. The bathroom smelt of sewerage even though it was unused and the whole room smelt of chemical cleaners. I had issues with my air conditioner beeping non-stop after the cleaner had visited my room and had to move to another room. After moving rooms, I experienced the same issues and had amenities missing. Outside of the hotels is the food offering on the island. The prices are average but the quality is poor and quite unhealthy. This was the worst hotel i've ever seen. All I can say is I’m sorry we only booked two nights we are coming back next year for longer. We did so much in our two nights it was amazing . Fitzroy island is the best place ever we had an ocean view room and it was the best sleep I’ve had in years with that gorgeous sea breeze . I travel a lot with work and I must say the staff at the island are the friendliest I have met. I love the fact you can take your own food and we had a kitchen to cook so that was great. The dive shop staff were exemplary we have never even snorkelled before and had the most amazing people teaching us to scuba dive . You can do as little or as much as you like on this gorgeous island and we are so excited about returning . the island itself is a beautiful part of Qld. the accommodation is aged and in need of a facelift. cleaning was poorly done, many things were broken (shower curtain, door handle to terrace, bedroom fan). for a self contained facility, it barely had any utensils in the kitchen. room cleaning was oweful. housing keeping did not bother to empty the kitchen bin or provide additional dishwashing powder so we can self clean. the resort pool glass balustrade was covered in a thick layer of grime. so much potential unfulfilled. Fitzroy island was the highlight of my FNQ trip. We babymooned and celebrated my bfs 30th here and the staff were very friendly. The highlights were snorkelling off the island (as i am pregnant i wasnt able to take the boat out) but i still was lucky enough to snorkel with turtles and so many beautiful fish! Waking up and sitting on the balcony to overlook the sunset was something i never thought id get to do, we had perfect weather as well. The only tip i would say to future stayers is bring snacks and some breakfast food or things to cook if not included cos theres nowhere to buy anything decent and everything is reaaallllyy expensive on the island. We stayed in an ocean suite which was gorgeous. The dive staff were also really helpful. There are not enough words to describe this awful experience. From the disgusting stench in the rooms, the apathy and lack lustre staff, being served wine in a plastic tumbler, excessive over pricing for activities, even having to hang up your hired stinger suit...obviously not cleaned after use, bland but very over priced food, nothing good to say about the resort at all. The island is beautiful and a great way to spend a day. Do yourself a favour, take all your own food and drink, don't stay and avoid the paid activities...excessive costs. Staff seriously need to undergo hospitality training , shocking experience. Won't be back or recommend this "resort"
We spent a couple of nights at the Fitzroy Resort and totally enjoyed it. It's so close to the ocean, almost like living on the beach, very easy to pop in for a swim first thing in the morning before breakfast. What a wonderful way to wake up. Excellent snorkeling within a few minutes walk, and a totally gorgeous beach just a little further away (Nudey Beach). No crocs or sharks, and we didn't see any stingers (it was stinger season). This was my second visit to the island so obviously I really enjoy it there. Island is a gem easily reached by fast cat from Cairns. Rooms and resort are very good quality and well maintained Food chives limited to 2 eateries - beach bar for food drinks (ideal spot for sundowners) and restaurant. Prices were fair and food good quality especially in restaurant. Shop is poorly stocked with food items so if you plan to self cater (our suite had a full kitchen) take food with you. Padi scuba centre is very good, friendly, professional. Our stay and subsequent flight meant we could only fit in a couple of local beach dives which were OK but if you want the real barrier reef dive experience you need to get on one of their day boat trips. Walk to the lighthouse and the top of the island for some excercise and stunning views - bit of a hike but worth it and a good work out (2-2.5 hrs). Tip - go to the beach up run by raging thunder tours and take their snorkel safari - short boat ride to next bay with all kit (inc stinger suits) included and brilliant marine biologist.